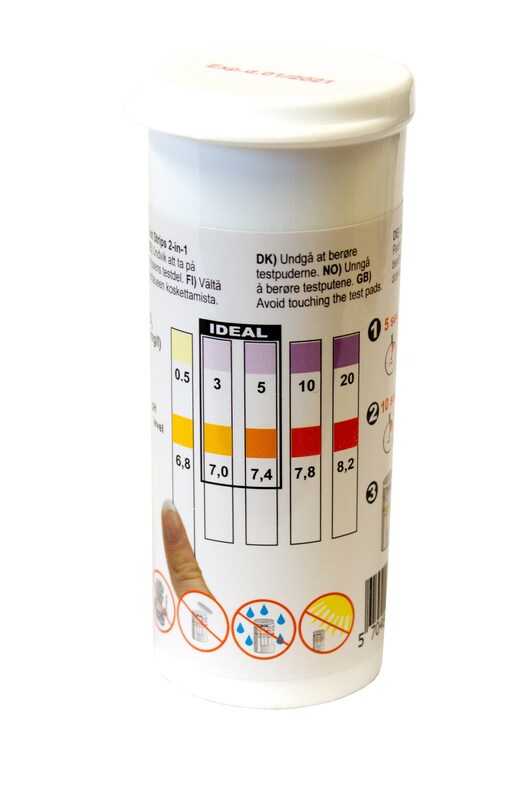 Pool Test Strips are used to measure the pH of the water, as well as active oxygen content. Balance is needed in bathing water to achieve ideal results of water treatment. 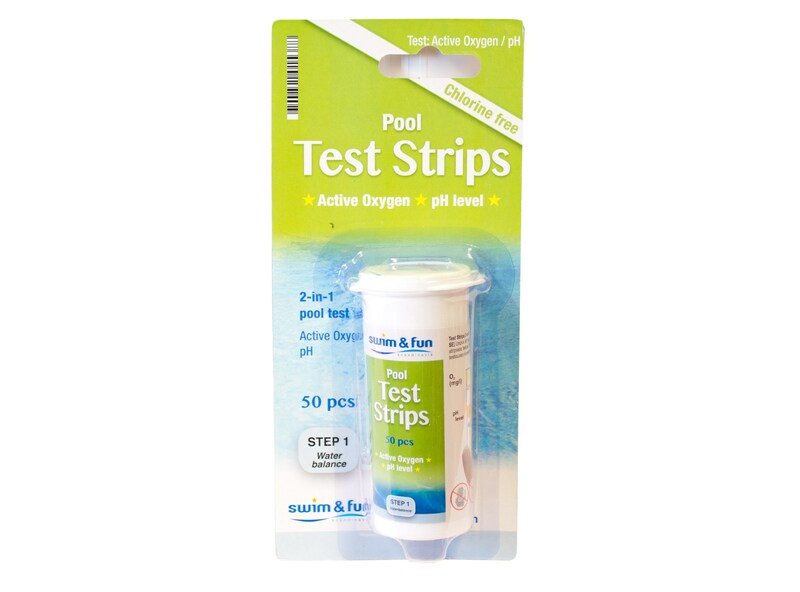 Pool Test Strips are delivered in handy containers, containing 50 test sticks. They are also packed in 5 airtight letters with 10 pcs. in each, for longer durability. On the container are printed clear and simple instructions and a visual color scale for quick reading of the result.